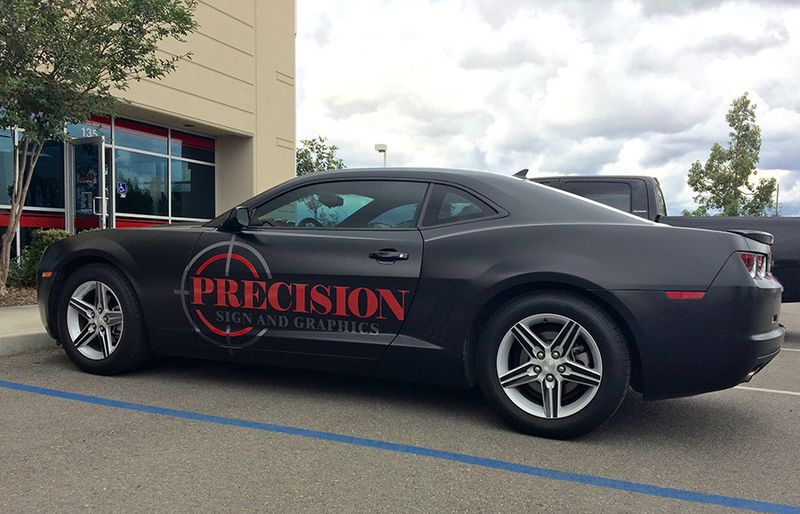 When making a decision on whether to have your vehicle professionally wrapped by Precision Sign and Graphics serving Riverside, CA., or just lettered with the name of your company, there are a few things to consider. In previous articles, we have covered many of the advantages of vehicle wraps; this article will reflect more on what is available for budget minded customers that are looking for a great way to get their message out on their company, corporate or fleet vehicles… while still being easy on the wallet. Just five years ago your choices for getting information and graphics onto your vehicle were: single colored letters or vehicle wrap. This is because full colored printing machines were very expensive to own and maintain, so only a handful of large graphic design and sign companies made the investment to have them. Most sign companies offered single colored stickers that could be cut into shapes and lettering. These could then be layered to replicate simple logos. By offsetting the color of the vehicle and using primary colors, you could do a pretty decent job of creating a good looking product. This could be, however, very labor-intensive for larger, more colorful jobs; the set-up time for each color could raise the price to be equal to having another company just do a full vehicle wrap. While professional sign companies, such Precision Sign and Graphics serving Riverside, CA., still have the ability to do single color letters and shapes; technology has made the same machines, once used by only a few, more cost-effective. This now allows Precision Sign and Graphics to offer a greater variety of affordable graphics; measured more in coverage than in labor costs. It is still a common practice today, for some applications, to just use single colored lettering and shapes for their vehicles. Graphics such as window treatments, phone numbers, license numbers and company names; may be all that the customer needs rather than a partial or full vehicle wrap. This is one of the areas where Precision Sign and Graphics serving Riverside, CA., really shines… We have the equipment and talent to provide our customers with print jobs with just a few letters, all the way up to a full vehicle wrap. Done correctly single color lettering and shapes can still make your vehicle stand out; while still being easy on the budget. Partial vehicle wraps are the middle ground between single colored lettering and a full vehicle wrap. Again measured by coverage, this method allows you to have a larger impact; even combining a large full color graphic with single color lettering to really give a great impact that saves on the budget. This is a great option for those companies that have a more complicated logo requiring a full color print; but doesn’t want to incorporate that into a full vehicle wrap. 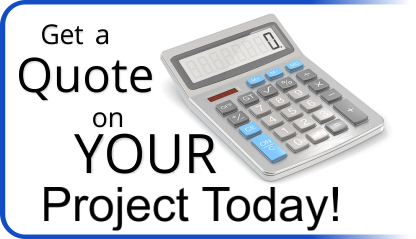 By using a large logo and adding phone numbers, website an additional contact information in single color lettering; it can help give you a look for your company, corporate or fleet vehicle that’ll stand out… while saving on the budget. Precision Sign and Graphics serving Riverside, CA., has made the investment to have available the equipment and skill to provide our customers with the best quality of materials and craftsmanship. Starting with our graphic design department; we will work with you to provide you with a graphics impression of what your project will look like. Then, utilizing the best quality materials for the application, we will go to work transforming your company, corporate or fleet vehicle into that attention grabbing, billboard on wheels you are looking for.